You must have seen commentluv on many blogs while commenting on those blogs. For those who don’t know about commentluv for them am explaning,it is basically a plugin which allows users to leave a link of their last post.So it drives traffic for the commenters also. That's how it encourages users to comment on blogs. You must have tired of traditional boring dumb old commenting system of blogger. If you want to install commentluv then the procedure is very much simple. First you need to get an account with intense debate. After this you will be asked to enter your site url for which you want intense debate commenting system. After adding your site you will be asked to choose the method. There are two methods to install intense debate-1.Widget 2.Template. I recommend you to go for template method because it doesn't affect your blog loading time. .Sign onto intense debate and choose template method. There are two options on new posts and on all posts. You should go with on new posts because if you selected on all posts, all of your previous comments will not be shown. From your blogger dashboard, go to Design. Then click on edit HTML and click on download full template. You will be asked to upload this downloaded XML on intense debate. After uploading it, you will be given a HTML code, copy that code then again go to blogger and select all the template code without expanding the widget template and paste the copied code from intense debate. Click on save template. Now from your intense debate dashboard go to sites. After this click on pluging then find commentluv and click on activate. You are done. Just open your blog and see commentluv in action. This is also a simple method but commentluv takes more time to load in this case than previous method. Go to intense debate and choose widget template. Click on ADD INTENSE DEBATE TO MY BLOG. You will be directed to blogger. Click on ADD WIDGET and you are done. 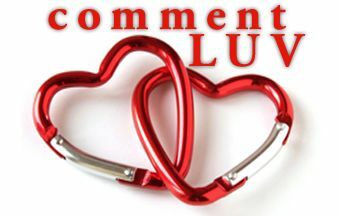 Commentluv is one of the most used comment system on various blogs now.It'll definitely give a boost on your blog traffic So feel free to use it on your blog and tell us about your experience with it. This is a great plugin from Andy. I just made a big clean up yesterday and got rid of a lot of broken links from old comments. 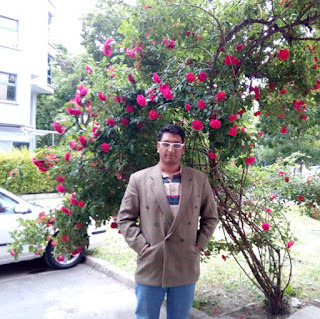 It would have been taken forever doing that manually.Thank you for sharing this post.I have collected many information form here. This was real helpful but i have got a big problem :( After installing comment luv with your help, my blog emoticons aren't working anymore :( What do i do? Plz let me know. How should i go about it? I don't mind if the emoticons aren't visible, can you please help me remove those emoticons? Nice info there but can I know why you are not using it on your blog? Guess you still prefer the Blogger commenting system. Why ?